This elegant design is printed in shades of blue, mixed with gray and white. 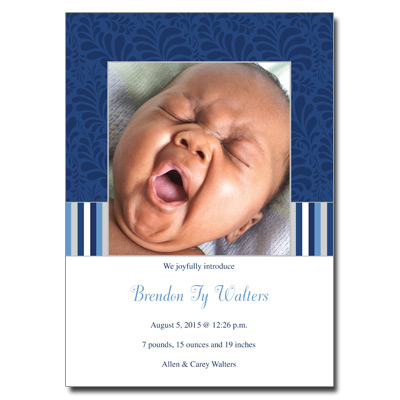 Your baby's photo is featured with a thin gray border, printed over a band of stripes and royal blue background. Card measures 5x7.